How to Change Country for App Store in iOS 9 – iMobie Inc.
Want to change the country region of the App Store on your iPhone/iPad in iOS 9? Read this guide to know the steps to change the country or region of App Store in iOS 9. Try AnyTrans by installing it on your computer so you can organize your iOS data on computer easily after reading this post on how to change App Store country for iOS 9 devices. 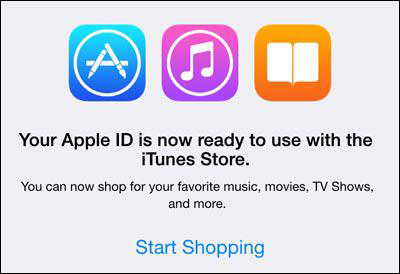 Your Apple ID is tagged to a country and you can only purchase or download an app that is available in that region. Generally speaking, there is no need to change the country region of App Store or iTunes Store on your iPhone iPad, however, if you want to download some specific app but only to find it is not available in your region, how to solve this problem? The quickest workaround is to change the country region for your App Store. Thankfully you have come to the right place. Follow the steps below to change app Store Country or Region in iOS 9 on your iPhone, iPad and iPod. 1. Open Settings, tap on App and iTunes Stores. 2. A menu will appear with four options: View Apple ID, Sign Out, iForgot and Cancel. Tap on View Apple ID. 4. Next tap on Country/Region. 5. Scroll to choose the country you need. 6. Tap on Agree from the bottom. Tap on Next. 7. Tap on None on Billing Information screen. Tap on Next. 8. Tap on Not Now option or you can go to verify your Apple ID by tapping on Settings. 9. Now tap on Start Shopping or Done. Want to transfer and manage your iOS data like apps, photos, videos, music, contacts, messages and more freely? Get the best iTunes alternative AnyTrans on your computer to back up, transfer and manage your iPhone iPad iPod content in a smart way. Have not upgraded to iOS 9? You should check this complete guide for iOS 9 updating, which covers the preparations for update, the common iOS 9 problems with solutions, the tips to speed up iOS 9 devices, and the methods to free up space for iOS 9, etc.